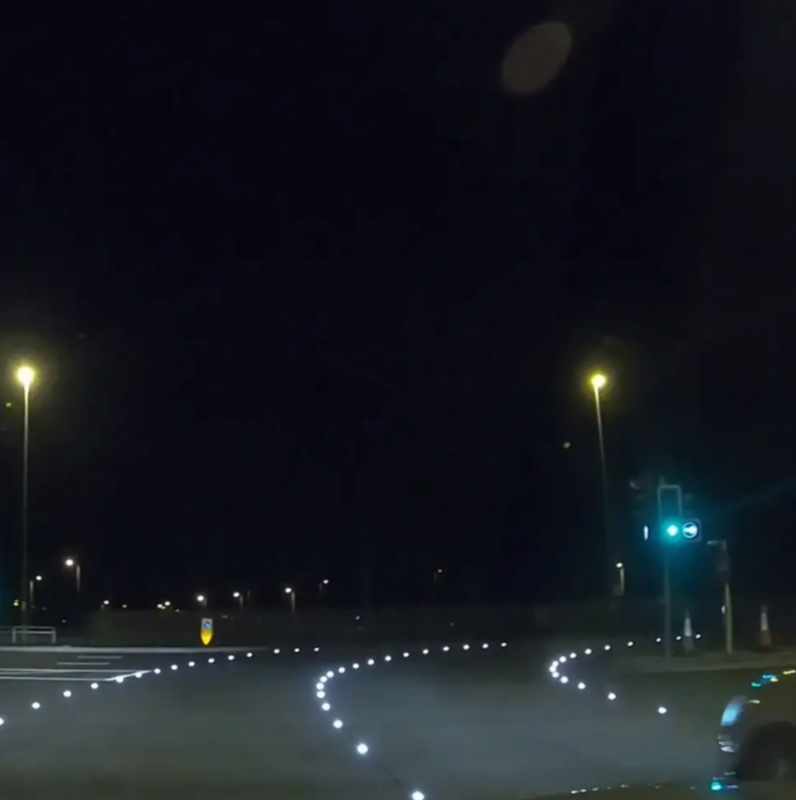 Highways England has installed 175 airport runway-style lights at one of the country’s busiest junctions. It has integrated 175 of the light-emitting diodes at an Switch Island in Merseyside which is used by more than 90,000 vehicles every day as part of a £3 million improvement project where the M57, M58 and three A roads join together. Phil Tyrrell, project manager at Highways England, said: “We’re carrying out a major project to improve journeys and safety at Switch Island and are pleased we’ve now reached the stage where our new smart road lights can be switched on. The LED lights being used at Switch Island were designed by Oxfordshire-based company Clearview Intelligence, which worked with Balfour Beatty Mott MacDonald on the project. Andy Salotti, Clearview’s director of solutions, said the LED road studs “illuminate in synchronisation with the green traffic signals”. LED smart road lights are already part of a number of roads across the country, with Highways England having already put them in the Hindhead Tunnel in Surrey while Transport Scotland use them at a major junction near Edinburgh.